Apple laptop prices for students, Yes it is. Apple’s Back to school season is here. When you think of a MacBook, you immediately start to imagine that sleek aluminum masterpiece right..!!. But you also think of your pocket money if you are a student. haha..yes..! you are on the right page. Apple’s Back to the season is for you all students. 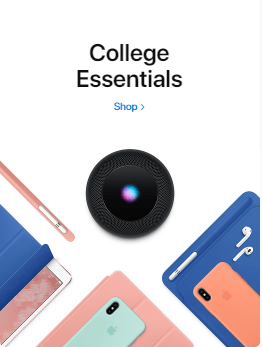 To help college studies Apple has taken a beautiful step to bring the smile all on students faces. Huge discounts are being offered on MacBooks and other Apple Accessories. Just to encourage students. How to get it then? All you have to do is take your college ID card with you when you go for a purchase. Retailers just verify you as a college student with the help of ID card from the university. University professors, staffs can also the advantage of Back too school offer. Even parents of university students can also take offers. Sources said. If you are a college/university student then you can get discounts of up to 15%. If you are employed as a university professor or any other staff, you can get up to 6% discount, as opposed to 15% for students. Well, they don’t earn but you earn… haha. To how it sounds in terms of price, Let me tell you. MacBook that normally cost you around $1299. You can get a discount of around $100 to $150. If you are a staff then expect half of it. You also get a pair of Beats Solo2 wireless headphones. In Uk around you get £899 MacBook for £772.80. and similar price ranging for other countries. Get yourself ready to grab this offer. You can get Apple laptop prices for students nearly same discounts everywhere. Just don’t forget to take your ID cards. Get apple MacBook pro student discount. You can also grab this offer from local retail shops too. If you would like to know about how to install Mac OS sierra on any PC then CLICK HERE. Do you know worlds powerful PC ever built?. Then check out this article on it. CLICK HERE. Thanks for your time. Hope you enjoyed my article. Please like my page and share this news with your friends.